The Bible speaks when disciples approach it with a listening heart and discerning mind. A lot of people in society think that faith means the absence of intellectual strength and the lack of inquiry. Jesus never dismissed questions – Jesus honored honest questions. God’s Word invites us to read, study, and seek truth. One of the marks of disciples is an openness to the Holy Spirit to whom we turn to understand the character of God. We know that Jesus embodies God, so when God speaks throughout scripture, God directs our attention to Jesus, the Christ. A disciple reads the Word daily. A disciple desires to understand and discuss it with others. As a disciple matures he or she wants to share it with others. We ask that God would plant the Word within us in such a way that it gives life. We read, and as we read, we ask that those things which are confusing are given context by other readings that are clear. The Bible in a sense interprets itself. God’s voice does not contradict the Word itself. Scripture, we believe reveals the heart of God through Christ and Christ embodies truth, love, grace, mercy, forgiveness, justice, and compassion. This is the heart of God – this is the character of God. Hearing the Word in the context of Worship is a desire of disciples. They want to be taught. Even the greatest teachers and preachers seek to learn. The proclamation of the Word has always been intimately tied to weekly worship and daily personal worship or study. Those things are not mutually exclusive. Sometimes we read for worship, such as the reading of the Psalms or the Passion narrative. Other times we read for study, such as reading to understand a topic like grace or forgiveness. As beginning disciples, reading daily in the Gospels of John, Mark, or Luke is a great way to learn the scope of Jesus’ teaching. A habit of daily reading for thirty days will likely continue for much longer. We begin to be fed by the word when we approach it with expectation rather than feeling threatened. This is also where a readable translation is important. 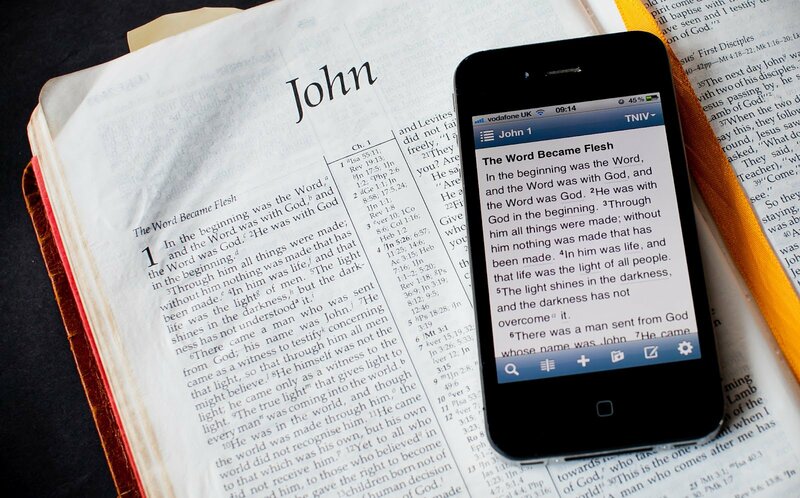 An NIV Study Bible, Contemporary English Version Learning Bible, and the New Living Bible can be great versions. Having a simple commentary is a great edition to your library and even your electronic collection. Yesterday afternoon I sat quietly in my study. The sun was pouring in the west window. I took ten minutes to read from the Word and just listen. My phone didn’t ring, no one came into my office unannounced, and I had completed my phone calls for the day. I opened the Word and just read for a short while and listened for the voice of God. It came in these words about the fruits of the Spirit in Galatians 5:22-23: love, joy, peace, patience, kindness, gentleness, generosity, faithfulness, gentleness, and self-control. The disciple of Jesus want to hear the Lord speak and lead, and at times the right word comes with such clarity. So the first mark of discipleship is daily prayer, secondly the weekly worship with the community of faith, and third is the daily reading of the Word. Discipleship is a growth process. Saints never started out as saints, they were ordinary people used by God in extraordinary ways. Walk the walk – listen for the Call. God wants to speak to you and guide you in your journey through life. There are people who need to hear the loving voice of their Creator. Apathy is not an option for a disciple – God captures you with energy and love. We hear the Voice and we follow. This entry was posted in Christian Life Coach, Christian Life Coach Denny Meyer, Coach's Blog, denny meyer, Higher Power, ICA, life coach, Pastor Dennis Meyer, Pilgrimage, sabbath, Salt and Light Coaching Consulting, Sonrise Coach, Spiritual Coach - Denny Meyer, spiritual coaching, spiritual director, spiritual director, Spiritual Life Coach Denny Meyer, Spiritual Life Coaching and tagged Christian Life Coach, coach denny meyer, denny meyer christian life coach, discipleship, God speaking, God's voice, spiritual coaching, The Bible, The Voice. Bookmark the permalink.